Jean-Luc Godard once famously declared the "end of cinema" at the end of his 1967 trip through bourgeois hell, Weekend. And while the movies obviously endured beyond 1967, one can't help but wonder if Godard was on to something. Weekend was a complete deconstruction of cinematic and societal conventions that polarized both audiences and critics, and while Godard was busy lashing out at consumerist culture, Hollywood was beginning to change. By the 1970s, Steven Spielberg and George Lucas would change the face of how movies are made and marketed, giving rise to the blockbuster culture that has led to the short theatrical windows and focus on opening weekend grosses that have become commonplace today. So was Godard right? Is cinema dead? Or was he premature in declaration? 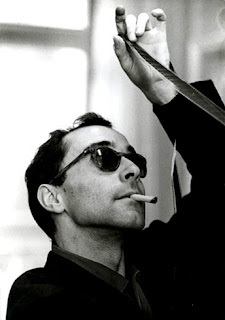 No matter what one thinks of Godard or his talents, it is hard to deny his arrogance. 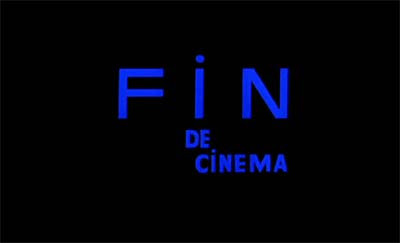 Calling himself Jean-Luc "Cinema" Godard in the opening credits of Bande à part, and of course declaring that the end of Weekend was not only the end of the film, but the end of cinema itself. 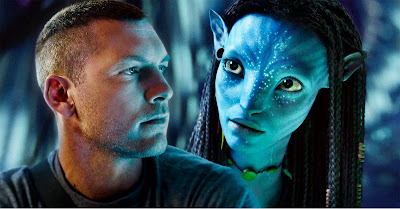 Much has been made in recent days about James Cameron's Avatar and its effect on the future of filmmaking. While it's true that Cameron has pioneered a new extension of the cinematic language, pushing 3-D away from being a cheap gimmick and into a legitimate form of storytelling, what exactly does this mean for cinema as a whole? If one were to look at the current box office top ten, which includes films like Legion, The Tooth Fairy, Alvin and the Chipmunks: The Squeakuel, and The Spy Next Door, one would be forced to come to the conclusion that Godard was right. But I don't think cinema is dead. Not yet. Depending on how you look at it, Avatar is either a bold new frontier, or a nail in cinema's coffin. When everything, even the performances, are computer generated, where is the true human emotion that only naturalism can bring? Honestly, I think it's a false choice, there is room for both Bergman and Cameron. Cameron is using technology to show us things that could never be achieved with traditional filmmaking techniques. 2009 may have been a year that pushed the boundaries of the possible, but the films vying for our attention, the ones that awards groups declare the year should be remembered for, are mostly weak and unmemorable, a shadow of the great films of the past. Gone are the glory days of the Hollywood studio system that brought us films like Casablanca and The Wizard of Oz. But often I think we suffer from selective memory when it comes to the films of the past. It may be true that "they don't make 'em like they used to," but history has always favored the winners, and many of the "quota quickies" and cheap B-movies have disappeared, while the masterpieces remain and have been remembered. Even going back to the earliest days of cinema, when nickelodeons showcased endless and un-creative "actualities," films just showing people in their everyday lives or performing specialty acts, film was viewed as a low form of entertainment. All the way back to the first comedy, the Lumiere Brothers' The Sprinkler Sprinkled (1895), audiences revelled in low, slapstick comedy, which is still hugely popular today. Not every silent film was The Birth of a Nation or The Passion of Joan of Arc, just as today not every film is a There Will Be Blood or Mulholland Drive. Is the ratio of junk to gold greater today than it was in the past? It's hard to tell. The junk is much more obvious today because we see it as it comes out. We watch it every day. The culture is permeated by it. But what about all those clunkers from years past that time simply forgot? Were the critics of yesteryear feeling the same way as we do now? Was the audience that first laughed at The Sprinkler Sprinkled any more sophisticated than the audience that laughs at Scary Movie? We like to idolize the year 1939, the year of Gone with the Wind, The Rules of the Game, The Wizard of Oz, Ninotchka, Stagecoach, Mr. Smith Goes to Washington, but what unknown junk clogged the movie theaters between these masterpieces that time forgot? It was undeniably a year unusually rich with cinematic treasures, but does that mean there was any less junk in the theaters too? I do not think cinema is dead. And I do not think Avatar is its destruction. The movie year I experienced in 2009 was not the one many others claim to have experienced. What I saw wasa very strong year for small, intimate, and yes, human films. Still Walking, Summer Hours, Goodbye Solo, 35 Shots of Rum, Tokyo Sonata; 2009 had a wealth of great filmmaking if you just knew where to look. It was just obscured by the junk with wide releases. I think there is a happy medium to be had somewhere. There is a place in this world for big, bold technical achievements like Avatar, that use technology to transport audiences to other worlds that we never otherwise would have seen. Cameron himself will be the first to admit that motion capture technology will never replace the magic of a live performance, it was just what was needed to bring his characters to life. But as long as people like Lars von Trier are able to create intensely personal artistic visions like Antichrist, or Michael Haneke is allowed to make thoughtful formalist allegories like The White Ribbon, or new talent like Lee Isaac Chung is allowed to take a small group of Rwandan genocide survivors and shoot a marvelous film like Munyurangabo on the fly, then cinema is far from dead. It may not be the easiest economic time to foster creativity or new talent, but it always somehow finds a way. I saw plenty in 2009 to give me hope for the future. Cinema is not dead. It is alive and well and thriving in the most unlikely places. It is the studio system that is ailing. Insead, we have new pockets of exciting new talents popping up all over the world in places like Romania and Taiwan. While Hollywood continues to chase the almighty dollar (as it has always done), filmmakers from around the world are defying convention and doing things their way, continuing to reinvent and reinterpret the language of cinema. And as long as that is true, then cinema will never die. Very well informed and interesting post, Matthew. I often loathe the state of contemporary cinema, but like you I'm able to still find some diamonds in the rough. However, I think it's only fair to point out that nearly all of the films you mention as your highlights from 2009 were available in extremely, extremely limited release, particularly for those people (unlike you and I) who don't have access to festivals and screeners (I've seen all that you mentioned except Antichrist, Still Walking, and The White Ribbon, though all have been made available). Now whether 2009 should be measured by the quality of limited releases or wide releases is arguable, and I think we split there. Anyway, outside of this year I still believe - like you - that there are a significant number of visionary filmmakers working today, so I'm not too worried about the future of our favorite medium. I am an unrepentant lover of classic cinema and, in my most cynical moments, believe that the rise of the popcorn film and CGI have ruined cinema. But, I'm not naive enough to honestly believe that the past is always better. There were just as many stinkers then as there are now in any given year. In 1939, for every Gone With the Wind and Wizard of Oz, audiences had to endure crap like Idiot's Delight and Drums Along the Mohawk. My guess is that maybe the recession has something to do with Hollywood playing it safe these past two years, both in terms of "Oscar films" and their regular releases. I mean, look at 2007: a complicated film like There Will Be Blood got a huge release to build on its Oscar chances while something comparatively simple like An Education never even made it to my town. The studios seem desperate for money and just aren't taking chances on the little films with niche audiences. Money is probably part of it. The films are still there. They're just harder to find.